The aqualuminator pool light is designed to act as both a return jet and an underwater light for your above ground pool. 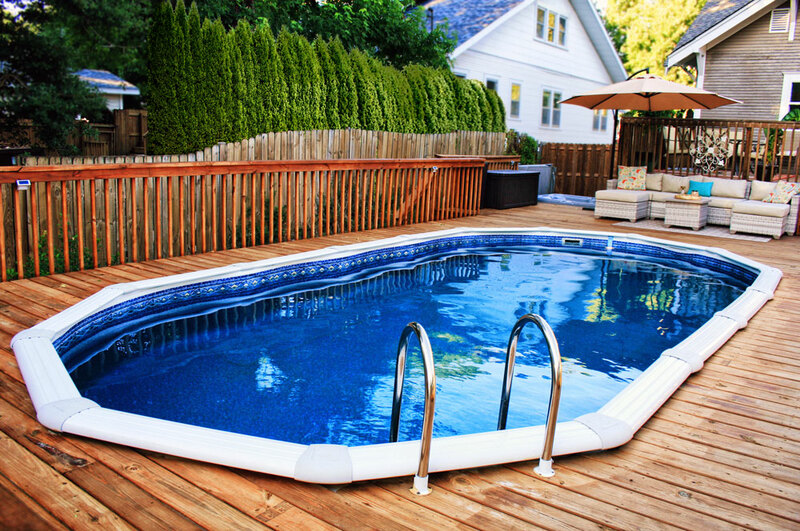 It is designed to require no additional cutting or modification of your pool wall. The aqualuminator comes with a standard 110 volt plug in but includes an inline transformer to lower the voltage to be safer for swimmers. Installation is a breeze, and is as follows. 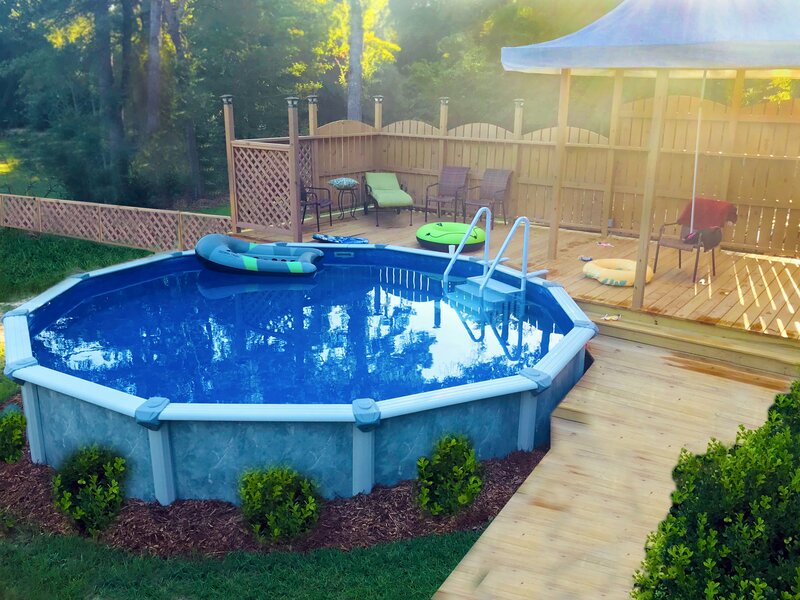 1) After liner is installed and the pool has been filled to about halfway or better, and the liner is resting flat against the wall with no slack or tension, you can begin installation. From outside the pool, take the hollow portion of the aqualuminator and press it into the return hole in the wall against the liner softly. Do not push hard enough to rip the liner, but just hard enough to make it stick out of the wall a small amount. While holding with one hand, take a sharp razor blade and cut out the section around the portion sticking through the wall. As you cut the liner, the light mount will become easier to push through. Let it. This will ensure the liner and gasket stay flat on the wall. 2) Once you get the liner piece out of the way, screw the female threaded portion with the hose bib and supplied gasket onto the male threaded portion now sticking through the wall. This should be tightened hand tight plus about ¼ turn. If hand tight does not align the hose barb to face down, loosen slightly, rotate the assembly, and tighten again. Repeat as necessary. It does not have to be perfectly straight up and down, but it looks better. 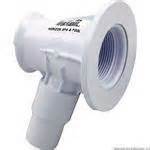 3) Once you have the wall fitting secure, you can then install the bulb assembly. 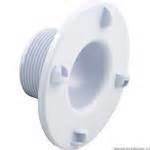 With the screw on lock ring and wire cover off, insert the bulb assembly from the inside of the pool, until you feel the oring come out the back side. Screw on the retainer ring. 4) Connect the wiring to the connectors inside the bulb housing and snap on the cover . 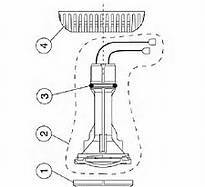 5) Attach the return line hose from your filter to the hose barb on the bottom and tighten hose clamp. 6) Turn on pump. 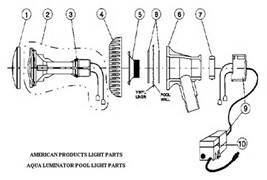 Adjust the outer ring of the light on the inside of the pool to change the direction of the water. Opposite of the skimmer is usually ideal.